Barring Facebook, Messenger, Instagram and other hugely successful names, many apps are actually rarely used or even downloaded by mobile device owners. Yet many businesses spend considerable time and resources creating apps to engage customers. A new study from comScore now says we’re nearing the “Peak App” moment, which suggests businesses should revisit their mobile app strategy. Astonishingly, the comScore (NASDAQ:SCOR) study reveals 49 percent of smartphone users do not download any apps per month. About 24 percent of users install one or two apps over the same period. Those who install more than five apps a month are more likely to be males aged between 18 and 44 years old, and they live in cities such as Los Angeles, Miami, San Francisco and Houston. 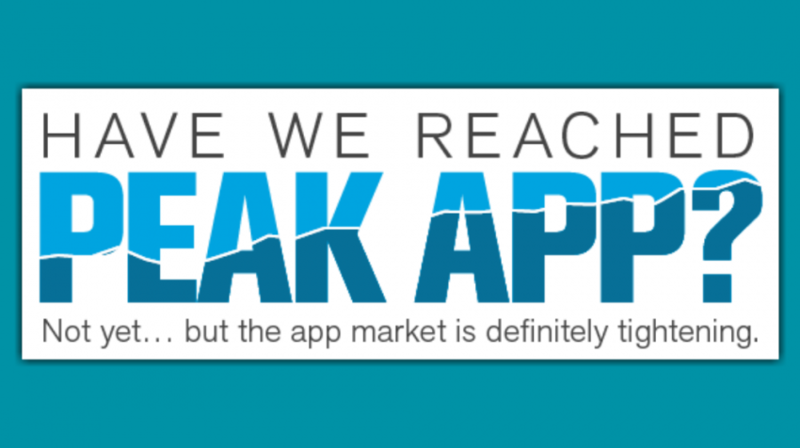 Interestingly, the comScore report isn’t the only recent study to highlight the declining popularity of mobile apps. Another study by app tracker SensorTower has also revealed an average 20 percent drop in downloads in the U.S.
Declining popularity of mobile apps doesn’t come as a surprise. Think about it. How many apps do you install and actually use on your mobile device? It’s also a choice that many users are making today because installing too many apps is inconvenient and unnecessary. So if you want to go ahead and build an app, you have to give your customers a very good reason to install it. Building an app requires both time and money. It’s therefore important for you to explore all options before making a decision. Does your business really need an app? Is it enough for you to just optimize your website for mobile? Can you instead focus more on engaging customers on social media? These are some questions that you must answer before making a decision to invest in creating a mobile app. At the same time, a mobile app can work really well for your business if you have the right strategy in place. If you are a small store owner, for instance, you can leverage your mobile app to implement loyalty programs or push notifications to drive footfalls. “The total number of people using your apps and the time they are spending on average, those two combined is how you should measure the potential of an app to generate a lot of revenue down the line,” advises Fabien Pierre-Nicolas, VP of marketing at app analytics firm App Annie.